I’m in A LOT of Facebook groups targeted to mums and also mums in business. Lately I’ve noticed an increase in questions relating to receiving your 18 weeks of Paid Parental Leave when you are self employed. Yes, you are definitely entitled to receive Paid Parental Leave if you are self employed. The tests that you have to pass are exactly the same as if you were an employee but most of the information you read online seems to focus on employees. So here are answers to the most common questions. 1.How do you prove that you have met the Work Test? The Work Test states that you must complete paid work for 330 hours over 10 months within the 13 month period before your due date/date of birth. This does not mean that your business has to make a profit or any money at all. You just need to have been working towards making a financial gain during this time. Volunteer work does not meet the Work Test. So how do you show how much you have worked in the unlikely event that Centrelink ask you to prove your hours of work? 2. What can you do in your business while receiving Paid Parental Leave? You cannot perform paid work while you are receiving Paid Parental Leave. When you are self employed, the definition of paid work is where your purpose is to carry out work to make a profit. The only paid work that is allowed, and you can still get paid during this time, is to perform tasks where you are only overseeing the business, performing administrative tasks or other ad hoc activities to keep your business going. These can include paying an account, checking the delivery of an order, arranging a repair or dealing with a dispute. Notice these examples are administrative as they don’t create a sale or income, which is how you should think about an activity that you want to perform in your business during this time. There is nothing to stop you employing someone else or even getting your mum to perform the tasks that will earn an income for your business. These don’t apply if you are on Paid Parental Leave when you are self employed. The legislation specifically refers to a keeping in touch day’ for people other than self employed. Also, these 10 days are not designed for employees to be performing their usual paid jobs but to keep up to date with training and meetings to help prepare them for a return to work. I have created a free checklist that you can download to help you gather the information you will require when you sit down and prepare your application. Enter your details below and the PPL Checklist will be emailed to you. As always, feel free to ask any questions. 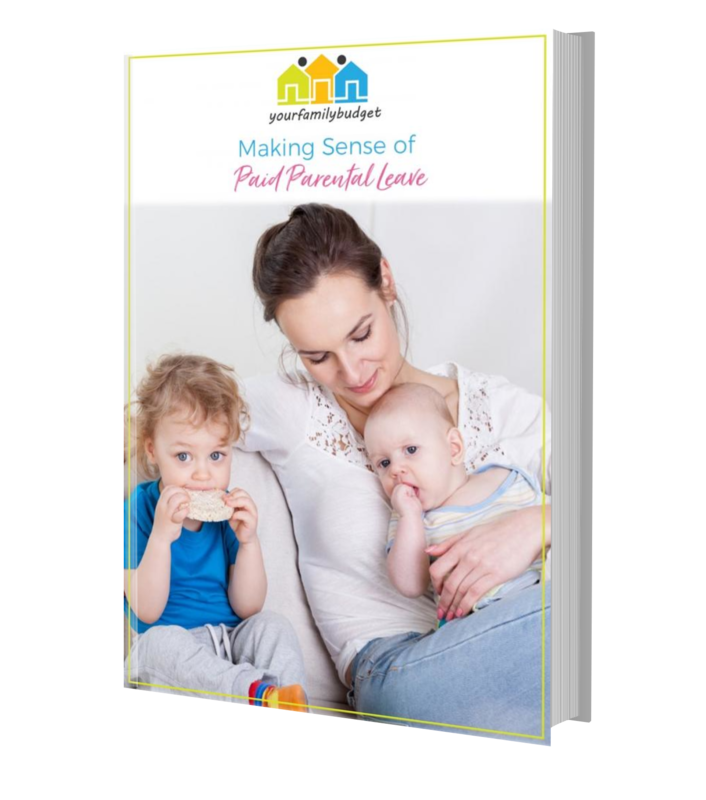 Download Making Sense of Paid Parental Leave for $17. Get your application completed all online. Review the different tests and apply them to your situation. Understand how it affects your tax. Learn about Dad & Partner Pay details. Stops wanting to pull your hair out! I’m wondering if social media posts are counted as working towards making a profit?? If they are, couldn’t we argue that they were all scheduled months in advance and therefore the work was done prior to receiving the $ ? Hi Marnie, the legislation is very vague in what is ‘work’ and what isn’t when receiving PPL. It says that when self employed you cannot be ‘actively engaged in running or maintaining the daily operations of the business’ but an occasional administrative task is ok. In my opinion an occasional social media post would be an occasional administrative task. If you did schedule it in advance that would be even better! However if you were running a social media agency then that would definitely be working. Great post & download thank you! I’m just wondering if as a sole trader you can still be invoicing some clients with the work completed by an assistant during the time that you’re on PPL? My concern is that I need to pay someone to keep my business running but I won’t actually be doing the work. And whether this would affect things with Centrelink? Thanks! What you have described is exactly what you should be doing. You are allowed to perform the occasional administrative tasks to keep the business running. The examples given in the law include: paying an account, checking the delivery of an order, fixing adhoc disputes and arranging repairs. Once you become involved in the day to day running of the business you are considered to have ‘returned to work,’ which is not allowed. I own a beauty salon & rent my rooms out… can I still receive rent to cover my salon expenses? (rent, electricity etc) & still receive the PPL?? I won’t be seeing any clients during the 18 weeks. Yes you can rent the rooms out. You can keep your entire salon running as normal as long as you personally are not doing the work. So from what you have described, by not seeing clients for the 18 weeks that would enable you to meet the requirements to receive Paid Parental Leave. Paying the bills would also be allowed as some admin work can be done. Thanks for the information! I have a small online business that sells baby products mainly on Etsy. Do you know if I’m allowed to keep this running, by having my husband fulfil orders when he’s home? I’m thinking I would have to add this onto his income for the 18 weeks though correct? Yes, that would definitely work. You can oversee his work but you cannot be the one doing the day to day running of your business. You are allowed to take care of admin, paying bills etc but not do what you would do on a regular day. You are not required to pay him a salary and it is still your business, but I can’t give you any specific tax advice here! You could keep a record of the days that he was fulfilling orders and how many he did in case anyone ever asks? I think the family assistance guidance also talks about keeping in contact with clients. What does that mean? Hi Anya, the law actually mentions that it recognises that those who are self employed will still need to oversee their business and perform the occasional administrative task. This will be different for each business and if it means contacting a client to deal with a dispute or even to send them an email with a photo of your bub then this fits into that category. You can contact them to keep in touch. What you cant do is actually perform work for a client that generates income for your business as that then steps into ‘maintaining the operations of your business’ and then you will be considered to have returned to work. Hi Lisa, thanks for all the wonderful info. I am a wedding photographer & require deposits to lock in my clients dates (for later in the year). There would be no work involved until PPL is finished. If my husband is the one to do the emails/ creating invoices – can you charge/accept booking fee’s whilst on PPL? You are allowed to do ad-hoc administrative tasks during your Paid Parental Leave so a once off invoice would be fine. If it becomes a regular thing then you might start giving the impression that you have returned to the day to day running of your business, but once is ok.
Hi Emma, there are a number of tests around whether you are eligible for Paid Parental Leave. The easiest to check is that you are an Australian resident and earned less than $150,000 in the last financial year. The big test is whether you have worked for 330 hours over a 10 month period in the 13 months before your due date as mentioned in the article. Your expenses and tax payment don’t come into the calculation. If you meet these 3 tests then you can apply for Paid Parental Leave. I didn’t register for tax because my business won’t earn near enough to have to pay tax each financial year. Would I still be able to claim PPL? I opened the business in Sep 2017, I registered an ABN in March 2018, and baby is due Jan 2019…. Hi Holly, I’m assuming that because you have an ABN that you also have a tax file number? There is no minimum amount that you need to earn for Paid Parental Leave or how much tax your business pays, actually you cant earn over $150,000 in the last financial year before you apply! You also need to be an Australian resident and meet the work test of 330 hours in a 10 month period within the 13 months before your due date. As you set up your business more than 13 months before your due date you have the 13 months available for the test. I’m an Australian Citizen who was self employed with my own beauty business while living in america. I had my baby in america but came back to live in Australia when he was 4 months. Am I still eligible for paid parental if my business doesn’t have an abn in Australia? Thanks! Firstly, you don’t say how old your baby is now. If they are more than 1 year old then it’s too late to claim anything at all. I also assume that you are either an Australian citizen or permanent resident. Working overseas still counts towards the number of hours that you need to qualify. Not having an ABN shouldnt be a problem although you do need to show proof that you have worked enough hours to qualify. The main issue I wonder for you is if you were overseas for more then 56 weeks? If you were away for more then 56 weeks up until you returned home then you wont meet the residency requirements to be eligible for Paid Parental Leave. I can’t seem to find the answer to the following question anywhere on Department of human services webpage, centrelink, or the paid parental leave act 2010 (although the language here is hard to decipher!). Anyway my question is: As a self employed mother, am I only entitled to take my paid parental leave from the Date of birth of my child and 18 weeks max after this OR can I take it at any time before my child turns 1. Hi Lisa, i’m a sole trader and some clients pay me for already completed work through a payment plan or direct debit on a weekly or monthly bases. These payments into my account are entirely automated. Will it be ok to receive those during PPL? my case is quite complicated. I worked for an employer for 9.5 years and resigned and effective from 13 July. From 5 Feb 17 til 11 March 18 was the parental leave and I returned to work for 4 months. And I started my business with an ABN from mid Aug, as I feel pregnant, will I get gov parental leave paid? Do I meet the work test?! Hi Vicky, What I would suggest is that you plan out your dates and calculate if you believe you will reach 330 hours in 10 months within 13 months before the birth without a break of 56 days of no work. So, how good are your spreadsheet skills?? Start with your due date at the top and drag down the dates by 392 rows to give you your 13 months. Then put in the number of hours that you believe you will work on each of those days. So any dates from the previous unpaid parental leave will likely have no working hours. The 4 months will have working hours and then you just need to determine the amount of work that you were doing from mid August once you started working under your ABN. (Use my advice from the blog post). Then look for a period within these dates where you worked over 330 hours in a block over 295 days (the 10 months). Hope that helps! I recently made a PPL claim and have been requested to provide further information related to proof of work and proof of income. I am self employed having just started a business about 12 months before I gave birth and estimate I worked approx. 10 hours a week on average for those 12 months . I have an ABN, most of the work was establishing the business, website, marketing material, etc The few clients I had I didn’t make much money from. So without payslip, employment contract etc how do I prove I worked and how do I prove my small income.? Hi Katia, the only thing that you can really do in this case is to put together a work diary. I know it sounds like a pain, but list each week, how many hours a week you worked and try and describe exactly what you were working on that week. Describe what you mentioned above and also what work you did to get clients. Ensure that it involves more than 330 hours in a 10 month period in the 13 months before the birth date! If you are then questioned about anything, the reference is in the Paid Parental Leave Act 2010, Section 35 (3) – When a person performs paid work. It says: A person performs paid work on a day if, on that day, the person performs work for the purposes of a business that is carried on for profit (whether in or outside of Australia) by: (a) the person (whether alone or with others); or (b) an entity that is controlled by the person (whether alone or with others). I am currently in the direct selling industry. Can I be entitled to this benefit? The industry that you are in does not make a difference to whether you qualify for PPL. You still need to meet the Eligibility Tests – the Work Test, Residency Test and Income Test. I have been working with my current employer since march last year and i have been made redundant today. My last day is 16th Nov and i will get a 4 weeks payment in lieu of notice plus about 4 weeks of annual leave (i had booked 3 weeks from 17th Nov till 10 Dec but now employer is ending my work on 16th Nov. Which means the annual leave will not count towards paid work anymore). I understand my payment in lieu will cover me till mid Dec. I have well over a thousand working hours in last 7 months already. In Dec, i am planning on starting my own side business of being a sales person for beauty range (basically trying to host sale parties and use facebook to sell). I am planning on working an hour or so a week. Will that time count towards the work requirement of 10 out of 13 months? My bub is due on 19th April. Hi Kelly, Sorry to hear that you were made redundant (I hope it wasn’t to do with being pregnant?). You can count the work that you do for yourself towards the Work Test. Given that your due date is 19/4/19, your 13 months started from 20/3/18 so I assume that is the period that you mention you have over a thousand hours worked. Make sure that you don’t have a gap of any more than 56 days between two days of work (paid work or paid leave) until you complete the 10 months. I would also keep good records of the hours that you do work for yourself, what you are doing and how it links back to earning an income. Centrelink may ask for further information to prove that you worked enough months and it will be good to have it ready just in case. Good luck! Thank you for your informative website on PPL. I have a question regarding working hours for a sole trader. Does the time used to set up/ establish a business count towards PPL (i.e. have not yet started actually running the business and earning income.)? I have tried searching through different government websites but can’t seem to find the answer to the question. My interpretation of that is that everything you do in setting up a business must be directly related to the idea that you will earn an income from that business. You should keep detailed notes on all of this time that you spend, what you did on each day that you worked towards this and how it helped towards you being paid for your work. Hi Mary, although you have completed the 330 hours required, you still need to ensure that you continue working for 10 months out of the 13 months before your due date with no gap of more than 56 days between 2 working days. What I suggest is you create a spreadsheet and list all the days between your due date of 9/6/19 and 392 days before that (13 months) which is 13/5/18. Write down each day when you were working and how many hours you worked on that day. Include the bookkeeping work as it is paid work. Then you can easily see if you have gaps within the 10 months that started 13/5/18 of more than 56 days between two work days from now on. Good luck! If you are employed as well as own a side business that sales don’t generate an income (all money from sales goes towards stock) do you have to shut down a website so no sales happen while you are on paid parental leave from your employment? I know you can’t actively advertise or promote but are occasional non sales posts on Facebook ok? What do you do about sales that come through the website on their own? Does food catering and baby sitting can be considered as own business ? I do have ABN on my name, However I was taking money in cash for the baby sitting and food orders from home. I have a child care centre as a sole trader, I have been on leave for 6 months and had to get a employee to take over my position as the director, the business still runs but I am not working am I entitled to the benefit? I just do admin once a month to pay my workers there income. Note: The business still is running without my physically working there. Thanks for your message. I’m going to assume that you met all of the other requirements for Paid Parental Leave when you gave birth such as earning less than $150,000 in the previous financial year, worked the required number of hours for the Work Test, were a resident of Australia and now your child is still less than one year old. Your business can carry on completely as normal while you are on leave and what you have done by putting an employee into your role is exactly how the rules work. The only issue I want to bring to your attention is that you cannot have worked from the date of birth up until you finish receiving the 18 weeks of Paid Parental Leave. So if you went back to work for a while after giving birth and then took the 6 months of leave then you wont qualify. Hope this helps! I’m uncertain whether one would have to be an Australian resident for the entire 13 months leading to the birth. If I get residency 3 months before giving birth will I be entitled for PPL (if all other conditions are met)? Hi Johanna, as long as you are a permanent resident or an Australian citizen from the date of birth of your child up until the end of the 18 weeks of payment you will meet the residency requirement. The ’13 month part’ only relates to the Work Test. Hi, I’m a sole trader with an online handmade business. I was wondering how the ATO know you haven’t been working while taking PPL if the business stays open and I have family members do unpaid work for me to keep the business running. The business would make sales during this time and so my tax return/BAS would show an income for the period I was on leave for given the business profit would come under my taxable income wouldn’t it? I’m struggling getting my head around this part! Thanks in advance! Hi Catherine, I better be careful how I phrase this but I can see what you mean! Look at it from the perspective that it is your responsibility to be honest with your entire application and it will be assumed that you are abiding by the rules as you will agree to this when you sign off the application. It is also then your obligation and responsibility under the legislation to notify Centrelink of anything that causes you to no longer be eligible for paid parental leave such as returning to work before the 18 weeks are up. Yes your returns will show that your business has made income during this time (and if you are a sole trader you will have the income), but businesses are allowed to continue during this time and that on it’s own wont make you ineligible. If you are still concerned then keep records of the time and work performed by family members should you ever be questioned. Hi, I run an online store of handmade clothing which I make myself. If I have my husband and mum do the work while on PPL can I still be receiving payments for my orders- I pay them for the work do- do they need to have ABNs too or how do people get around paying family for running things? Thank you.